Dragster RC here. Much more comfortable for longer rides while still being sporty enough to not be boring. Plus, it's another Italian eye candy. Victory has some nice cruisers. I’d go look at them. Victory will let you test ride too. They want you to try them out. I always thought that Moto Guzzi had some nice looking bikes. The air cooled engines with the laid back cruiser look might be kind of what you're looking for, but a little different from everything else. Have a look at the new triumph rocket coming. How does a 2.5 litre 3cylinder engine sound? Enough torque to pull a sailor off your sister. Thank you very much for your input. A lot of different suggestions that work very well as inspiration. Will have a look at them all. if you want a new one: ZZR1400? CB1100? Gold Wing? Moto Guzzi MGX-21!!! 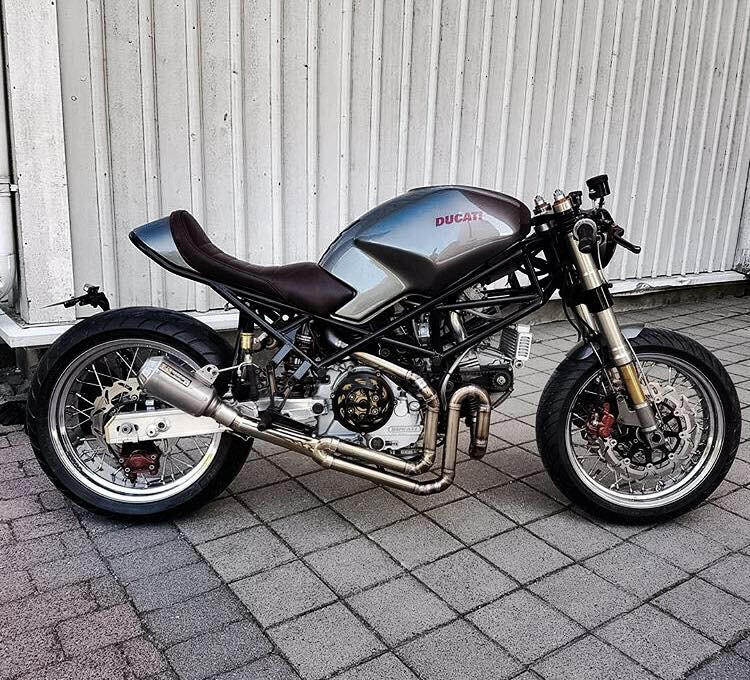 Cafe'd Monsters are some of the nicest city bikes around. Though, for around town stuff, I prefer a Drz400s. Last edited by Buliwyf; Apr 17th 2019 at 05:07 AM.